Severn House Publishers, 9780727887689, 256pp. It's a well-known fact that some of the Reach for Recovery cancer support group survivors Hannah Ives works with take marijuana. Recreational use of the drug may be illegal, but a few, like Maryland State Senator Claire Thompson, are prescribed it on medical grounds. Claire has co-sponsored a Cannabis Legalisation Bill and wants Hannah to be part of a fact-finding task force that testifies before the Maryland State Senate. Before long, Hannah is in Denver, Colorado - the Mile High City - staying at a B&B with a group of pot pilgrims and medical refugees - some of whom, like her, are on a mission for information. 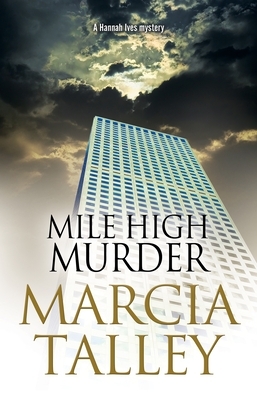 But when one of the group is found dead, and a closer inspection of the body reveals they may not be who they seem, Hannah is plunged into a dangerous cocktail of drugs and death.